After some delays leaving BA, we arrived at a windy and overcast El Calafate Airport. Though we had another 3 hours of driving ahead, any feelings of fatigue were quickly abandoned once our bus pointed north towards El Chalten. I had the privilege of riding shotgun, snapping photos and attempting to communicate with our driver about the geography and fauna along the way. 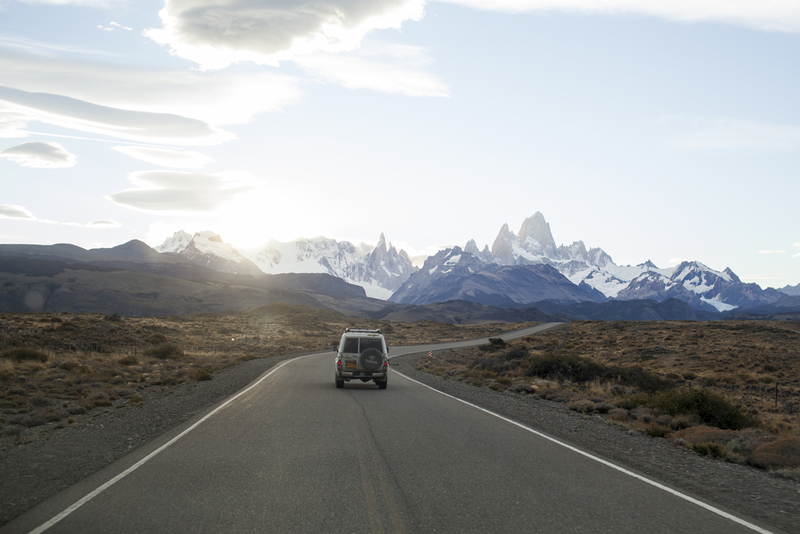 Just as we turned off of Ruta 40, the sun emerged below the clouds, highlighting Fitz Roy and the surrounding mountains and bringing out all of the glacial texture in the valley.